This small block of shops had 2 cafes connecting into one 1000 litre in ground grease trap. 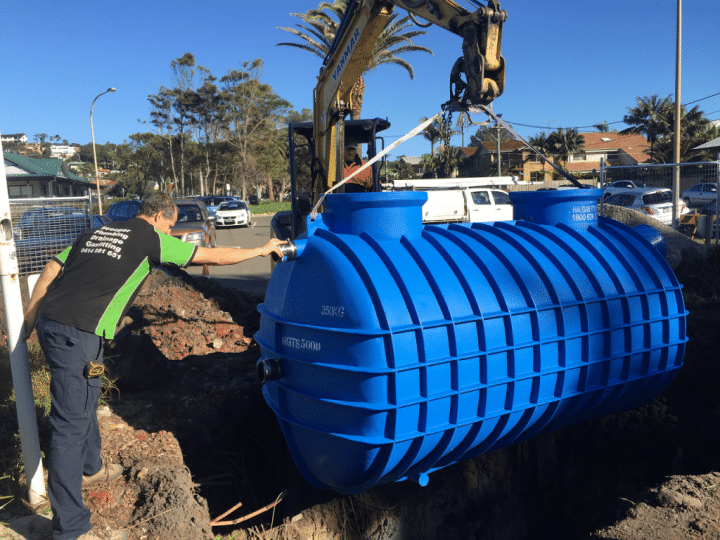 Sydney Water requested that they increase the size to a 2000 litre in ground grease trap to meet the requirements. After having a chat with the owner of the complex he thought it to be a good idea to upsize to a 3000 litre inground grease trap to allow for an extra shop to be turned into a food related business. For this reason we went with this option. Yes it cost him a few more thousand dollars and know one likes seeing the price go higher but the shops can be rented out at a higher price then normal retail.